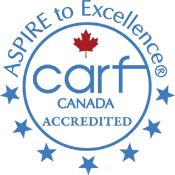 Interior Community Services is pleased to announce our accreditation through the Commission on Accreditation of Rehabilitation Facilities (CARF). Interior Community Services (ICS) is a Good Food Organization through Community Food Centres Canada. ICS is one of 105 organizations from across Canada who are joining together to work for a healthy and fair food system. The Good Food Organizations initiative supports food security organizations by increasing their capacity to offer healthy and dignified food programs in their communities. Through the initiative, ICS has increased access to resources, customized training, potential grants as well as access to a network of progressive organizations committed to increasing health, promoting social change and offering community capacity programs across Canada.